Microsoft Edge web browser has Bing search engine set as it’s default search engine. 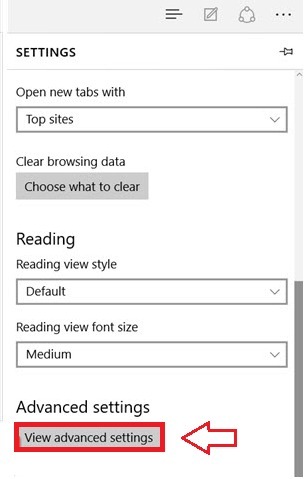 Even if you clear off the browsing history of Edge web browser, when you type in a query in Bing the next time, you are automatically loaded with a lot of search suggestions. This is because Bing saves everything seperately. 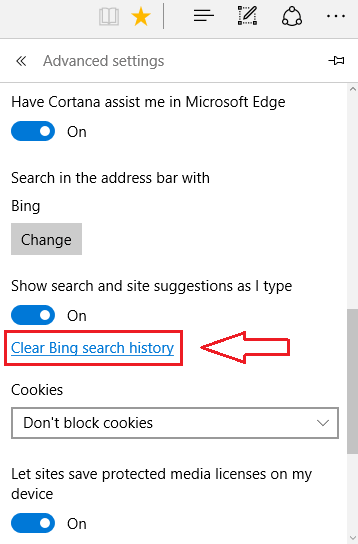 So if you want everything cleared off from your search history, you need to make sure that you have cleared the Bing search history as well. This can easily be done with a very few number of steps. Also, Bing lets you have the ultimate power of deciding whether or not to allow it to record your search history. This is as simple as turning a switch on or off. The following steps will guide you to successfully delete the search history of Bing search engine on Edge web browser. First and foremost, you need to launch the Edge web browser. Next task is to locate the more actions icon from the list of options. It can be found at the top right corner of the Edge browser window. Once you have found the more actions icon, click on it to expand the list of options. At the very bottom of the list, you will find an option named Settings. Click on it. Now that you have clicked on Settings, a new list of Settings opens up. From the options available, find the one that’s named View advanced settings under Advanced settings. Click on it to go to the next step. Find the link, Clear Bing search history, which is highlighted in blue from the new list of options and click on it. 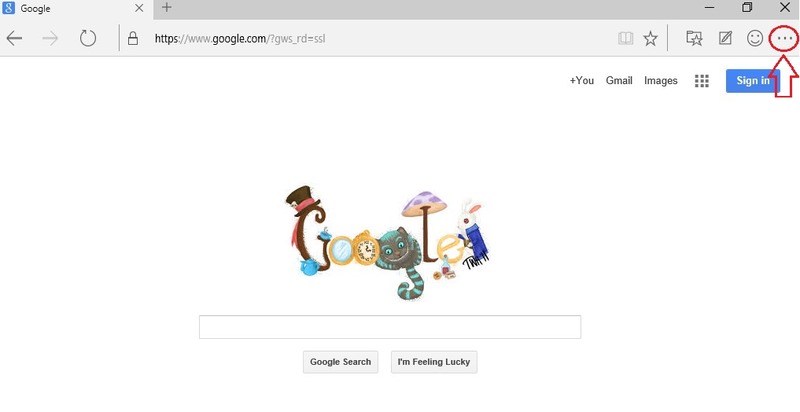 Now you will be able to see a window which says Search History. This is where you will get to see all the search queries that you have made. You can easily remove a specific search or all the searches at once from this window. Bing search engine grands you the power to decide whether or not to let it record your search history. By simply clicking on a toggle button, you can easily ask bing to record your search history or ask it to stop recording altogether. Find the button which says on and off near to the Clear all link. If you turn this button on, then Bing will record your history and if you turn it off, Bing will stop recording your history. Now, if you want to delete an already made entry specifically, simply find the entry from the search queries that Bing has listed. All you have to do inorder to delete it, is to click on the Cross button associated with it. And if you are in a hurry and do not have time to delete entry by entry, there is always the Clear all link. If you click on Clear all, you will be asked to confirm the history deletion. Once you do that too, all your history will be cleared off. That’s it! You’re done. Now you will see a dialogue which says that you have successfully cleared all your search history. Hope the article was found useful. And now we know how to do some serious research from Edge Browser without leaving a trace. 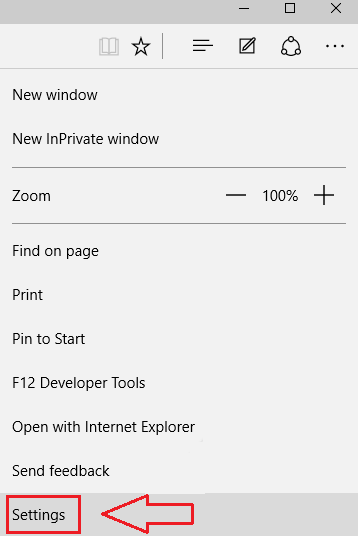 There is NO clear all button in my search history on Edge. I tried making my print small to be sure I was getting the entire page, and it is not there.